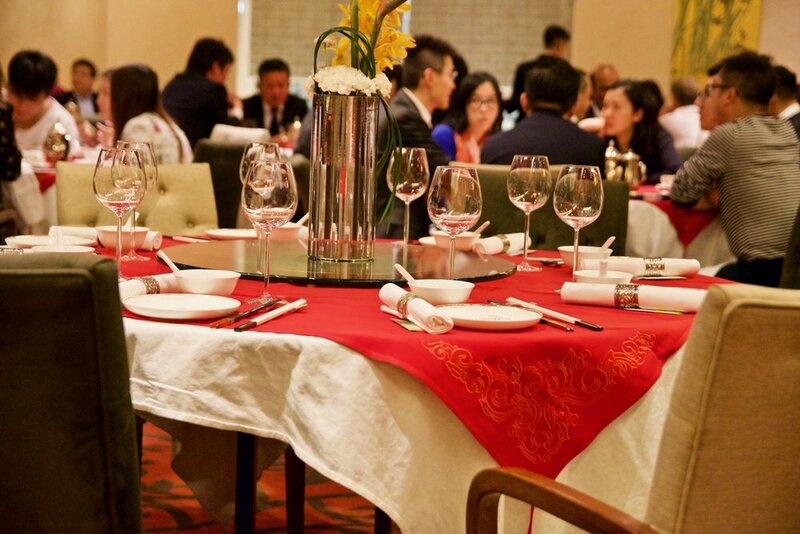 Established in 1978, Michelin starred Peking Garden ticks all the right boxes, making it one of Hong Kong’s best dining experiences. 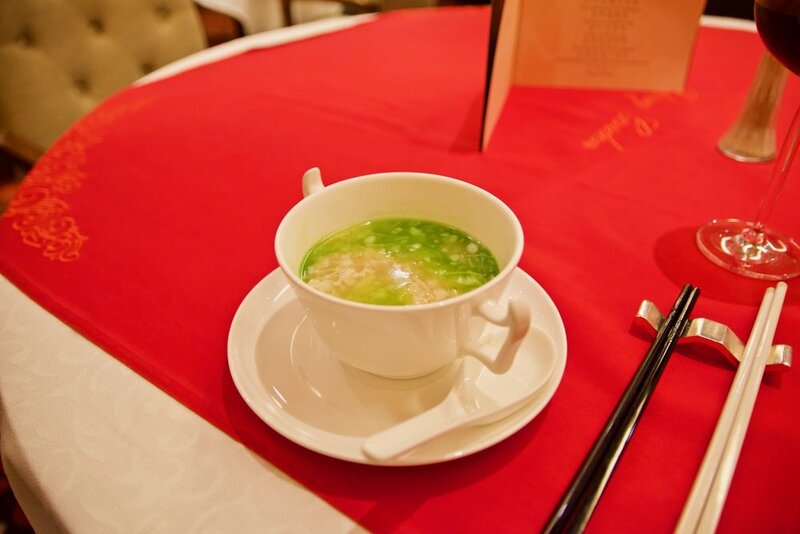 The restaurant serves classical Chinese cuisine within charming surrounds matched by top notch service. We loved tasting our way through the menu. To start, an alluring dish of marinated chicken in rice wine sauce arrived. We loved the delicate texture of the chicken and how it had absorbed the heady rice wine. Together with the accompanying smoked vegetable roll this was a stunning beginning to our culinary journey at Peking Garden. To follow, extremely plump deep fried prawns with chilli sauce graced our presence. 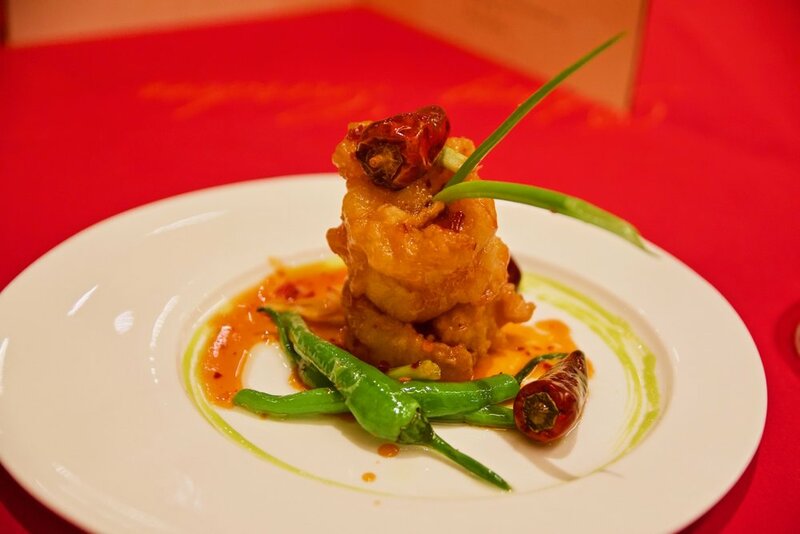 The prawns boasted a lusciously thick and crisp batter which absorbed the flavoursome chilli sauce. 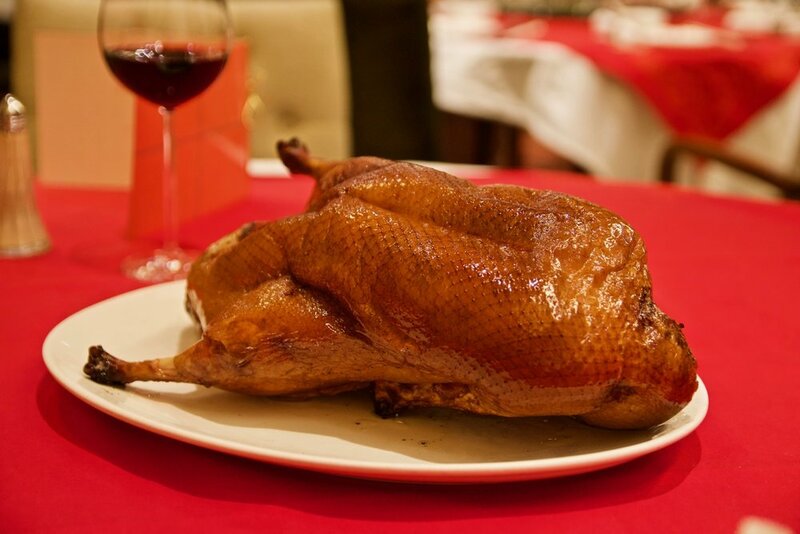 The pièce de résistance, (and our favourite dish of the night), the Barbecued Peking duck met our expectations admiringly. Textbook execution ensured that the duck boasted amazingly crisp skin and tender meat. Together with the sauce, cucumber and spring onion encased in the most perfect pancake wrapping, every bite was gratifying. For seafood fans, the hearty seafood and vegetable soup and the luscious pan fried sliced fish with vegetable dishes are not to be missed. Both these dishes hero the seafood and are prepared beautifully. Our savoury courses concluded with steamed dumpling stuffed with pork and supreme soup. While many Chinese restaurants serve Xiao Long Bao, Peking Garden’s variety are a cut above and boasted gracefully delicate dumpling skin enveloping rich pork-seasoned broth. 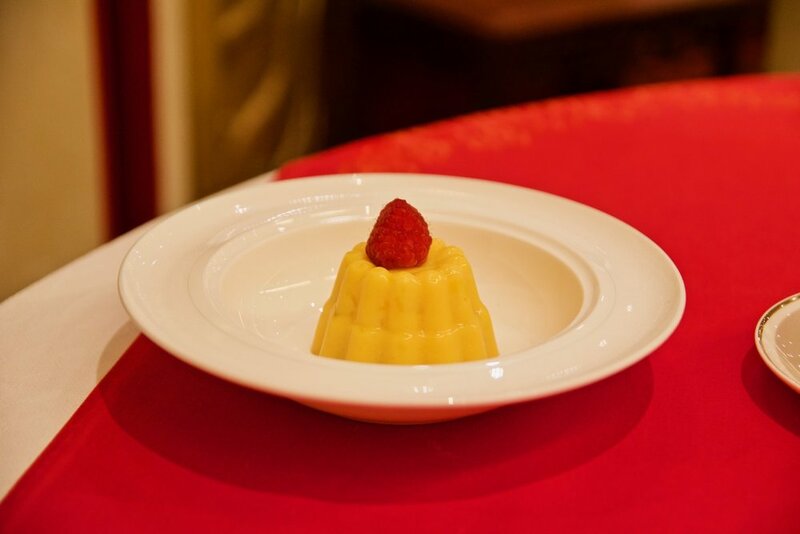 For dessert, the mango pudding, a Chinese dessert classic, did the trick. 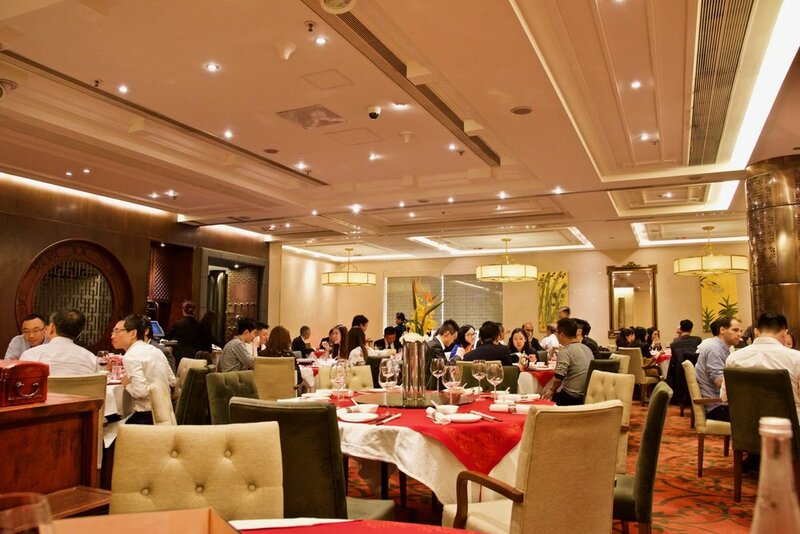 One of Maxim’s Chinese Cuisine’s most established restaurants, it is not surprising the Peking Garden has earned a global reputation and many accolades. This restaurant is a must-visit when in Hong Kong.